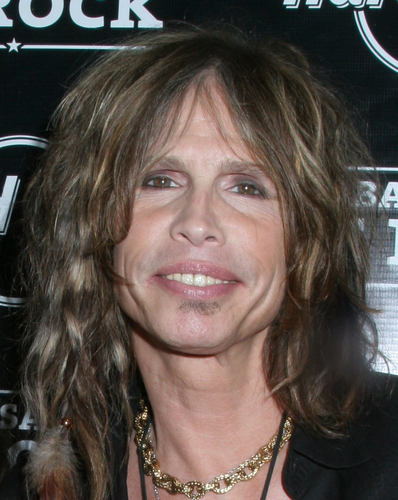 The fact that my mother even knows who Steven Tyler IS – well, it’s kind of freakin’ me out. My parents were not at all interested in the music of my youth, and that’s putting it mildly. (To be fair, my taste was often questionable; does anyone remember Ratt?) My dad used to say that everything that came after jazz wasn’t music at all; it was simply garbage. “What about the Beatles?” I asked, thinking that perhaps since they were essentially his contemporaries, he could muster up an appreciation. I was wrong. My posters of Bon Jovi and David Lee Roth had to be hung on the INSIDE of my closet door. Now that I’m a mom, I think that was actually an inspired idea. With all that in mind, you can imagine my amazement that they’re even watching American Idol at all. And apparently this isn’t even their first season watching it. What it means for American Idol is that the show has truly saturated every possible viewing demographic. What it means for the rest of us is that the world may really be coming to an end. I hadn’t imagined that doomsday would involve Steven Tyler, but if you think about it, it’s not all that far-fetched.